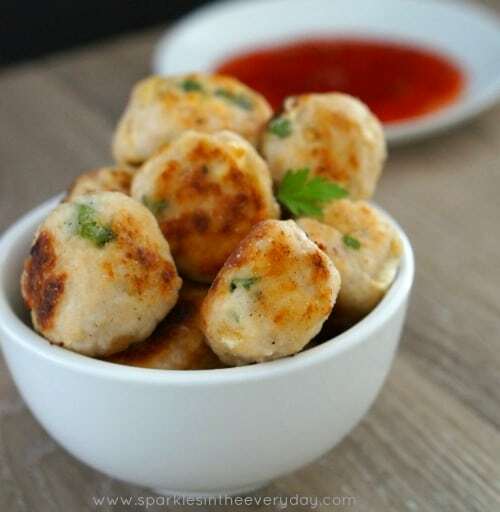 Chicken, Cream Cheese and Cashew Meatballs (GF) - Sparkles in the Everyday! 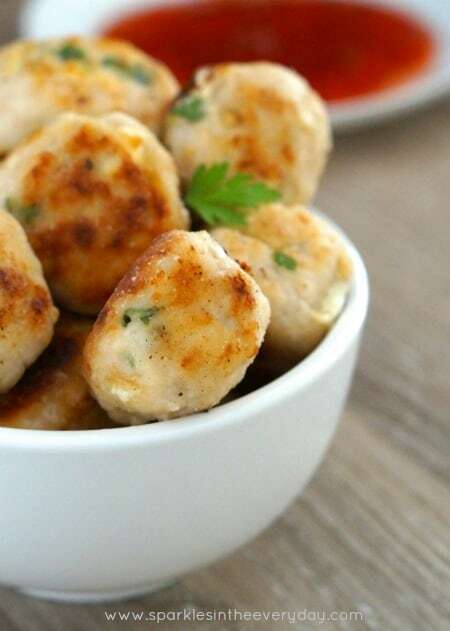 These delicious gluten free Chicken, Cream Cheese and Cashew Meatballs are not your ordinary meatballs…they are just a little more special… perfect for entertaining! 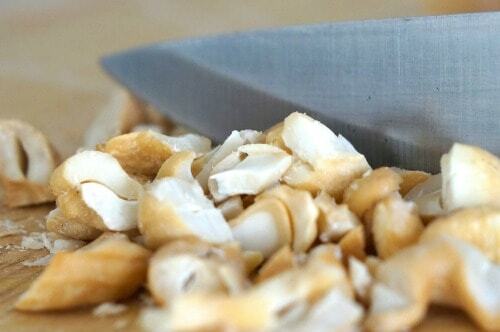 Are you looking for something a little different to serve when having friends over? How about these bite-sized meatballs – (that aren’t your normal run-of-the-mill meatballs) they are just that little more classy! Yes, who was to know that meatballs can be ‘classy’….but these meatballs are made with chicken, have a creamy smooth texture, with a hint of asian flavours and with a subtle crunch of cashews. …and they go perfectly with sweet chilli dipping sauce. The best part about this recipe is that it is up to you the size you would like to make these Chicken, Cream Cheese and Cashew Meatballs. You could make them into larger patties and grill them on the BBQ, cook them in the frypan and make them into a burger with homemade gluten free focaccia and old fashioned tomato relish. I know the reason why we love this recipe….because it takes the boring chicken meatballs and makes it into something a little fancy! Simply mix together the chicken mince, onion, basil, coriander, cashews, lemon rind, lemon pepper, 2 tablespoons of gluten free flour, 1 tablespoon of sweet chilli sauce and cream cheese. (I cut up the cream cheese into smaller pieces). 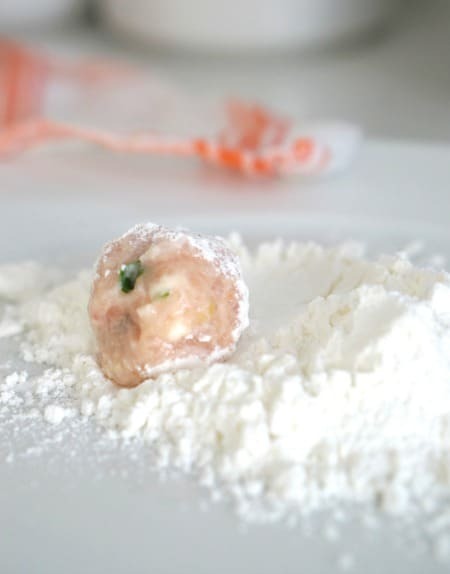 Using wet minds, take a small amount and shape into balls and roll in gluten free flour to coat. Add oil to a frypan and cook the patties until cooked through and golden brown. 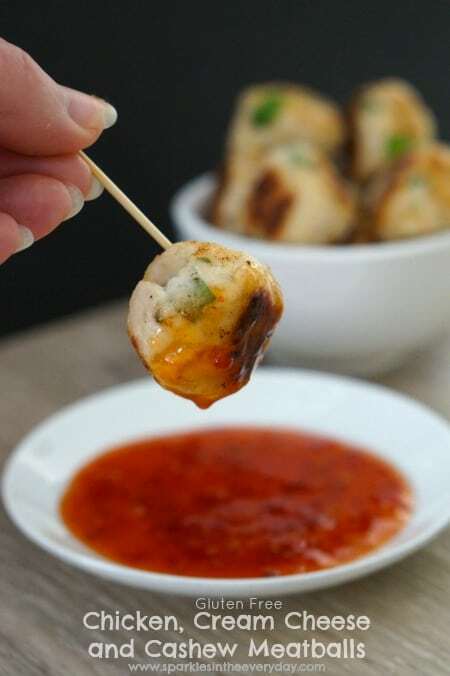 Serve and enjoy warm with sweet chilli dipping sauce! 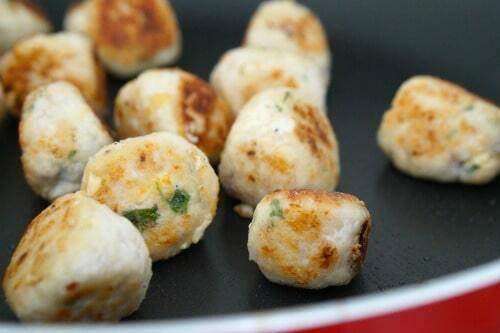 Recipe for Gluten Free Chicken, Cream Cheese and Cashew Meatballs! 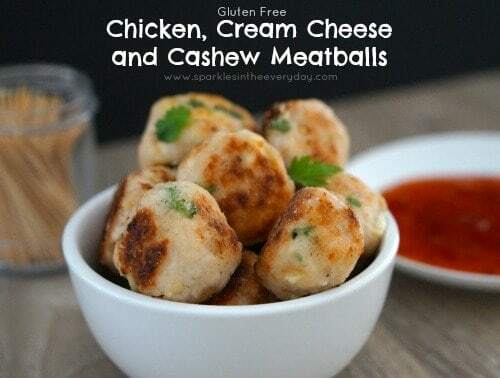 These delicious gluten free Chicken, Cream Cheese and Cashew Meatballs are not your ordinary meatballs...they are just a little more special... perfect for entertaining! 2 tablespoons of gluten free flour and some gluten free flour to roll the meatballs in. Mix together the chicken mince, onion, basil, coriander, cashews, lemon rind, lemon pepper, 2 tablespoons of gluten free flour, 1 tablespoon of sweet chilli sauce and cream cheese. (I cut up the cream cheese into smaller pieces). 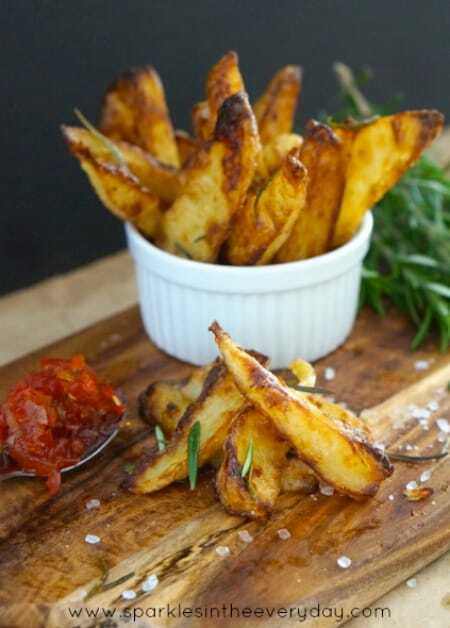 Rosemary and Sea Salt Crispy Wedges! « Really Easy Pumpkin and Potato Bake!